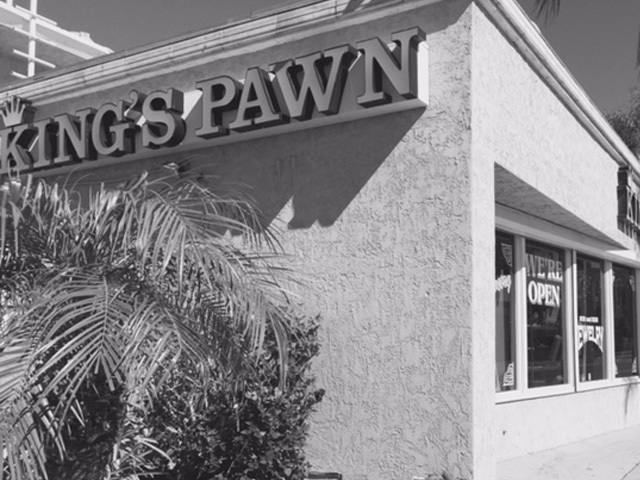 Visit The King's Pawn, Inc for quick and confidential, California compliant loans on jewelry, diamonds, tools, musical equipment and specializing in high end guitars. We are Southern California's friendly pawnbroker, with over thirty years experience in giving clients the fairest valuations on their items. Protect your privacy with The King's Pawn Inc instant cash loans. We require no credit checks and report to no credit rating agencies. As an active member of the Southern California community, we understand the needs of local business owners, musicians, construction industry workers and families. The King's Pawn, Inc specializes in offering bridge loans on collateral so that entrepreneurs can maintain liquidity and keep their businesses running, musicians can keep doing what they love and families can get through emergencies. We finance loans from $20 - $250,000 on qualified collateral to better serve you. Let us treat you with the respect, dignity, and personalized attention that you deserve. Come visit our store is located in downtown Escondido and we will appraise the item in front of you and offer you a generous cash loan based on the hard market value of your item(s). Call us at 760-432-9411 for any questions you may have for us. Did you know? You can re-pawn your loan through the mail. Ask us and we’ll tell you how. Did you know? If you purchase an item from us and need a loan in the future, make sure to keep the receipt. We will loan you half of what you paid as long as the item is in the same condition as when you bought it.